Former justice minister Jody Wilson-Raybould, seen above walking on Parliament Hill in February, 2019, was less favourable to the pick of Richard Wagner by Prime Minister Justin Trudeau. Former justice minister Jody Wilson-Raybould recommended Manitoba judge Glenn Joyal for chief justice of the Supreme Court in 2017 as part of a plan to place a judge with progressive views on individual and community rights on the top court and make way for the appointment of Canada’s first Indigenous chief justice of a superior court, a source has told The Globe and Mail. Ms. Wilson-Raybould was less favourable to the option Prime Minister Justin Trudeau picked, the elevation of Richard Wagner from a seat on the court to the position of Chief Justice. The source said Ms. Wilson-Raybould viewed Justice Wagner as conservative on legal issues, and that his appointment could be received negatively in the LGBTQ community. In the summer of 2017, Justice Wagner was criticized for his decision to reject interveners from the community in a high-profile case. He eventually worked with Beverley McLachlin, who was the chief justice, to let all who applied have a chance to participate. Ms. Wilson-Raybould and her office felt that nominating Chief Justice Joyal would win support across the political spectrum given his stand in favour of individual rights as well as his belief in small-l liberal values, the source said. The highly confidential process for appointing judges, and the divergent positions of the Prime Minister and his justice minister, have spilled out into the open after a leak from within government on Monday. 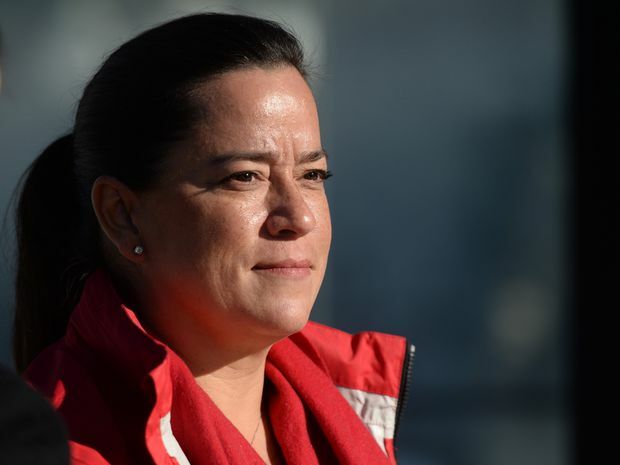 The unprecedented disclosure came amid controversy over Ms. Wilson-Raybould’s testimony to a Parliamentary committee that she was put under pressure to intervene when she was attorney-general in the prosecution of SNC-Lavalin Group Inc. Equally unusual was the public response from Chief Justice Joyal, who sharply rebutted the assertion he was rejected, and said his name was being improperly used to serve someone’s “agenda.” Now, a source has revealed to The Globe and Mail the details on the internal debate within the Liberal government during the appointment process. The names of candidates in the appointment process, and the assessment of those candidates, are kept highly confidential to protect the reputations of sitting judges and other applicants. The source said Ms. Wilson-Raybould’s recommendation for the Supreme Court would have allowed the government to name Provincial Court Justice Ken Champagne, who is Métis, to replace Chief Justice Joyal on the Manitoba Court of Queen’s Bench, which would have made him the first Indigenous chief justice of any superior court in the country. Ms. Wilson-Raybould’s vision would have meant the appointment of the first chief justice from outside the court since 1906 – when federal attorney-general Charles Fitzpatrick moved from politics to the court’s top position. Chief Justice Joyal would also have been the first francophone from outside Quebec to be Supreme Court chief justice. Mr. Trudeau elevated Justice Wagner to Chief Justice, in line with Canada’s postwar tradition of mostly alternating between anglophone and Quebec francophone chief justices. The tradition reflects the importance of Quebec’s civil code and the province’s importance in Confederation; it is the only province that, by law, has three positions reserved for it on the Supreme Court. It had been 17 years since a Quebec jurist, Antonio Lamer, had been chief justice. Mr. Trudeau also named Justice Sheilah Martin, an Alberta appeal court judge, to the Supreme Court. Canada’s first Indigenous minister of justice and attorney-general, Ms. Wilson-Raybould was moved to veterans affairs in January, a position from which she resigned in February. The Globe reported on Feb. 7 that she had been pressed to intervene in the SNC-Lavalin case. On Feb. 27, she told the justice committee she faced “constant and sustained” pressure as attorney-general from the Prime Minister and other top aides to override federal prosecutors and grant a deferred prosecution agreement for the company. Quoting unnamed sources, The Canadian Press and CTV News said on Monday that Mr. Trudeau started to doubt Ms. Wilson-Raybould’s judgement in 2017 after learning that Chief Justice Joyal had criticized the judiciary for its broad interpretation of the Canadian Charter of Rights and Freedoms. Chief Justice Wagner declined, through a court spokeswoman, to comment for this story. On Monday, Chief Justice Joyal said he withdrew his candidacy because his wife had metastatic breast cancer. In Manitoba on Tuesday, Mr. Trudeau refused to comment on specific appointments to the Supreme Court, which are made by the prime minister of the day. He did not condemn the leak of information in the confidential process in this case. “One of the most important things is that Canadians know they can continue to have confidence in their judicial system, in the way we operate as a government and the way Canadians can know that we have a strong and independent judiciary,” Mr. Trudeau said. The source told The Globe Ms. Wilson-Raybould’s recommendation was based on consultations in the legal community and a thorough review by her office of the judges’ writings, speeches, arguments in court and rulings, the source said. In addition, Ms. Wilson-Raybould examined political considerations, saying Chief Justice Joyal’s appointment would be popular among francophones outside Quebec, while Justice Wagner’s selection would be more popular in Quebec. Lawyer Katie Black, who was Ms. Wilson-Raybould’s adviser on judicial affairs at the time, said Chief Justice Joyal and Justice Martin were identified as top candidates for the Supreme Court by an independent panel chaired by former justice minister and prime minister Kim Campbell. “In 2016 and 2017, I was honoured to assist the Honourable Jody Wilson-Raybould in the reformed, merit- based Supreme Court of Canada appointment process," said Ms. Black, who had previously served as law clerk to chief justice McLachlin. "The Prime Minister of Canada tasked the former minister of justice with analyzing the jurisprudence of candidates recommended by the Supreme Court of Canada Independent Advisory Board, a non-partisan selection committee chaired by former Progressive Conservative prime minister Kim Campbell. The board’s work was instrumental in identifying some of our country’s top judicial minds, including Justice Martin and Chief Justice Glenn Joyal. “The independent advisory board process analyzed the exceptional careers of both jurists, along with other candidates. The process revealed that Justice Martin and Chief Justice Joyal dedicated their lives to public service, upholding the Charter and the pursuit of justice in this country. More importantly, their deeply thoughtful approach to the law revealed them to be decent and kind human beings. Both have borne the burdens of their judicial responsibilities with grace and wisdom. “As members of the judiciary, Justice Martin and Chief Justice Joyal must necessarily be mute in matters of politics. We are privileged to have judges like them upholding our constitutional rights and freedoms." A speech from Justice Wagner at the University of Ottawa was enthusiastically pro-Charter. His rulings that year included the strongly liberal R v Antic, which instructed lower-court judges to give bail much more readily to suspects. Chief Justice Wagner has a history of bipartisan appointments. The Liberal government of prime minister Paul Martin appointed him to a superior court in Quebec in 2004. The Conservative government of Stephen Harper later elevated him to the Quebec Court of Appeal, and then to the Supreme Court. Chief Justice Joyal’s first appointment was from Progressive Conservative attorney-general Vic Toews in Manitoba, to the Provincial Court, in 1998. (Now a judge, Justice Toews had given speeches saying judges had become the undemocratic “rulers” of the people.) Chief Justice Joyal’s next appointments were from the Harper government. Chief Justice Wagner’s rulings since he replaced chief justice McLachlin in late 2017 reinforce the impression of a centrist judge. He was part of the majority that upheld a law society’s right not to recognize a Christian law school that intended to discriminate against LGBTQ students. And he wrote a majority decision in 2018 that gave a victory to First Nations peoples, ruling that a band in British Columbia can claim financial compensation for the theft of its lands in 1860. He also wrote a majority ruling granting voting rights to long-term, expatriate Canadians. Justice Champagne was appointed to the Manitoba Court of Queen’s Bench in 2018.